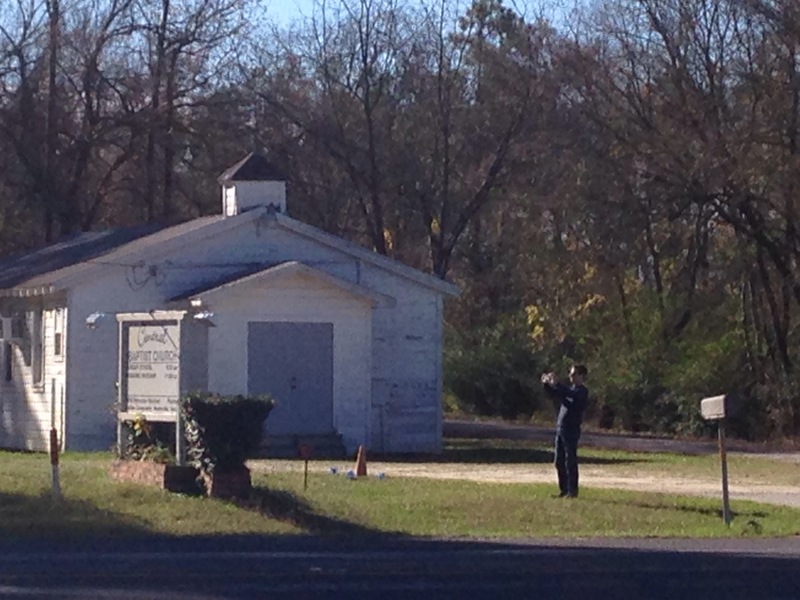 On our way into Huntsville, Texas to visit with Warden Jim, we came upon a small Baptist Church on the left side of the road. 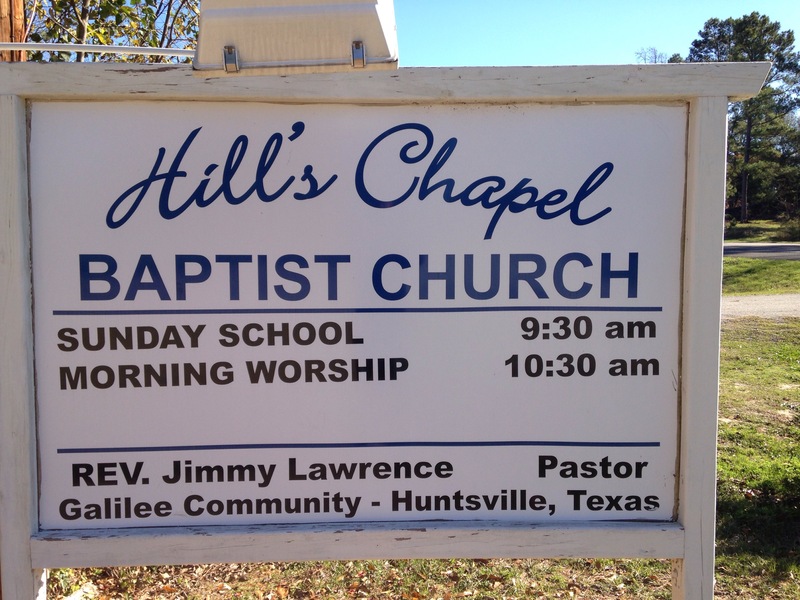 Hills Chapel Baptist church sits on the left side of Highway 30, leading into Huntsville, Texas. 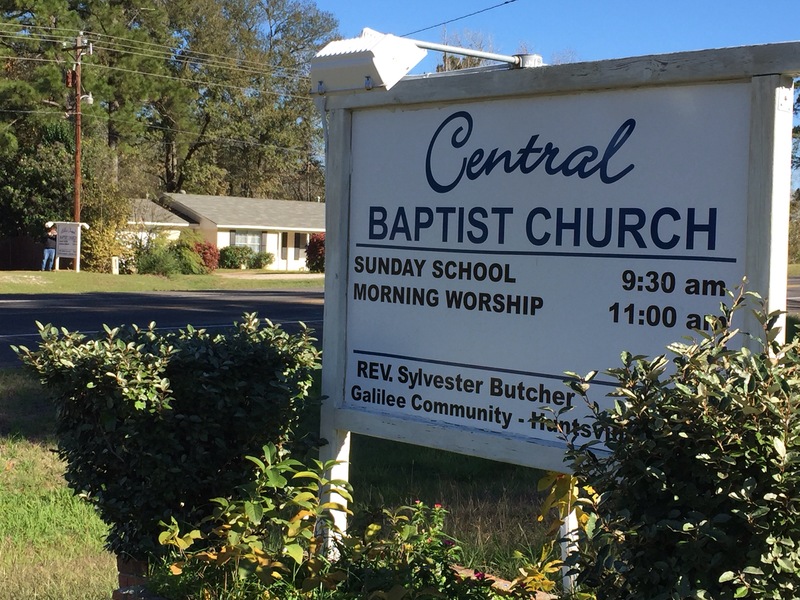 Directly across the road from Hill’s Chapel is Central Baptist Church. It’s obvious that the signs were made by the same person, even so far as using the same fonts and colors. 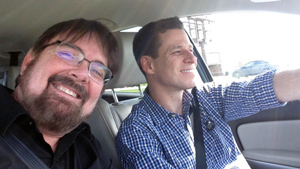 Our guess is that that’s where the similarity between the two churches ends.